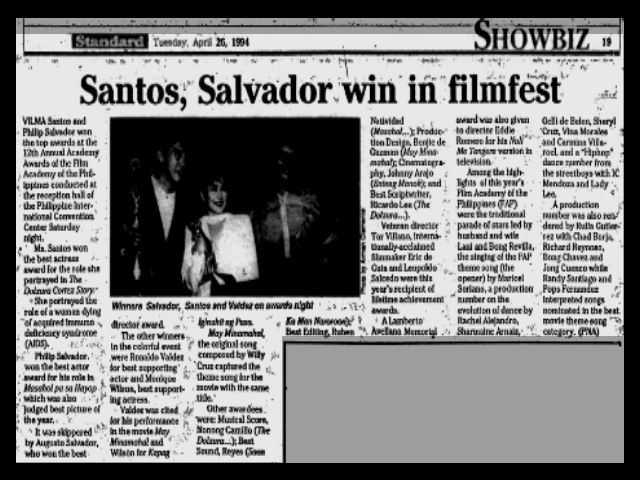 In 1981, President Ferdinand Marcos passed Executive Order 640-A, which established the Film Academy of the Philippines, the Philippines’ official counterpart of the United States’ Academy of Motion Picture Arts and Sciences (Wikipedia). This entry was posted in ARTICLES and tagged FAP, philippine movies, Vilma Santos, Vilma Tuazon. Bookmark the permalink.